in 20 fifth grade classrooms around the county. 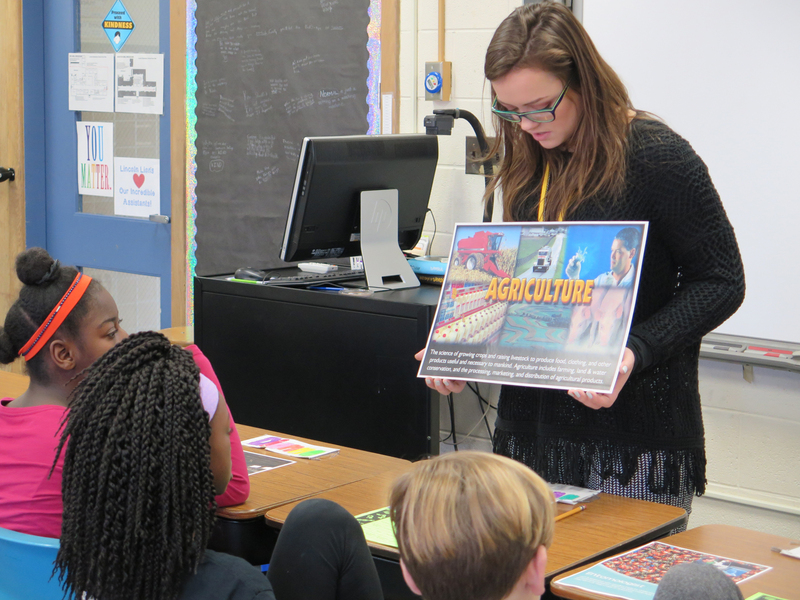 Volunteer Mindy Smits reviews the definition of agriculture with fifth graders at Lincoln Elementary. 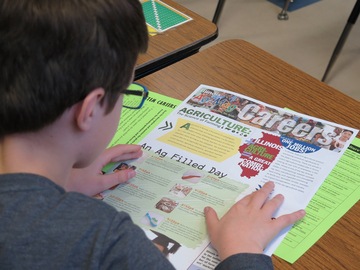 During the presentation, students explored a wide variety of farm and non-farm jobs. Each student studied a photo and description of a different career. They answered questions about what areas of STEM (science, technology, engineering, and math) the career might involve, what it might be like to work in that career, why the career is important to society, and whether or not they thought they would enjoy working in that job. 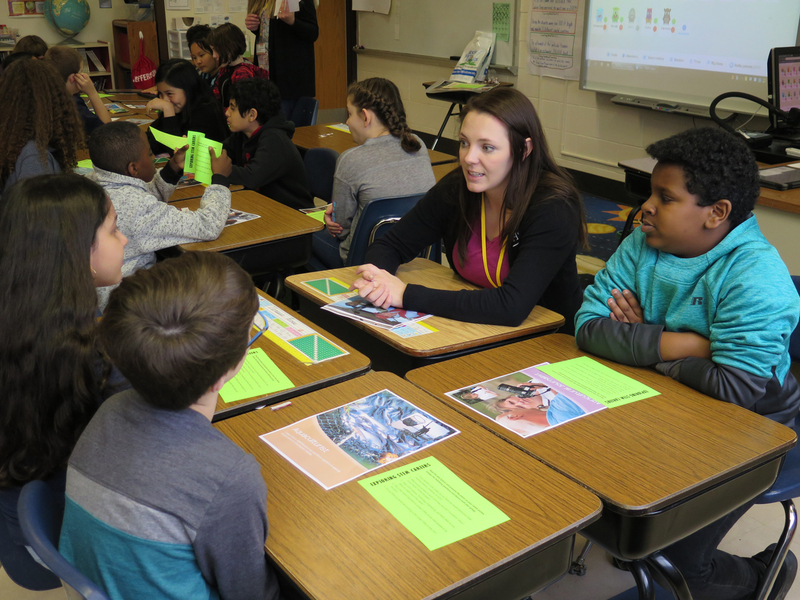 Volunteer Bronwyn Burgweger engages in dicsussion with a group of Jefferson Elementary students. Emphasizing the idea that there are many facets of the industry, the presentations were delivered by volunteers from various areas of agriculture, including soil conservation, education, finance, insurance, public policy, and farm management. Volunteer presenters for the program included Katie Betz, Bronwyn Burgweger, Landon Faivre, Dean Johnson, Eric Lawler, Kevin McArtor, Bob Pritchard, Danielle Rudsinski, Mindy Smitz, and Beth White.